Who says you can't have fun in the kitchen? Diane also consults with the food and beverage industry and has been the spokesperson for Pepperidge Farm Puff Pastry and Lipton Recipe Secrets. Diane has designed food and beverage standards for Hilton, and developed menu items for Foodmaker and General Mills. Diane's recipes have appeared in national newspapers, Traditional Home Magazine, Readers Digest, Women's Day, Preventon Magazine and Bridal Guide. Diane has been featured on Turning Leaf Vineyards entertaining hot line giving tips and ideas for stressfree Thanksgiving and other holiday dinners. 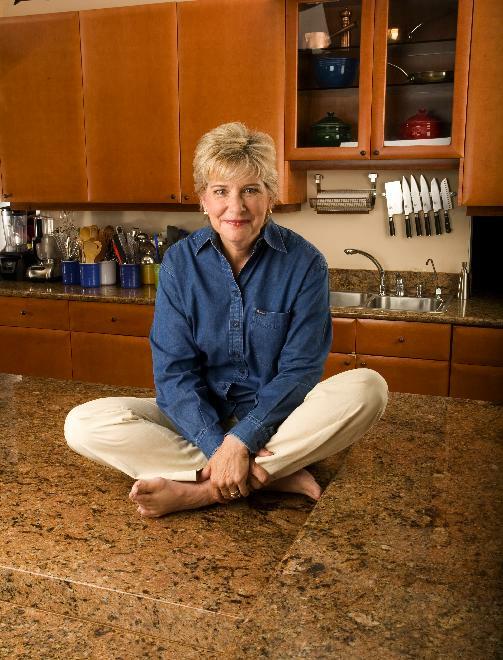 Catch Diane on Comcast's new on-demand Digital Cookbook and on Lifetime TV's website. Diane teaches at LaCombe en Perigord in the Southwestern Region of the Dordogne in France, Rancho La Puerta and spends time with her family in Italy every year. Good Morning America selected Diane's newest book, Slow Cooker, the Best Cookbook Ever as one of the best cookbooks for 2009. Click here to view the video. Would you like an autographed bookplate for one of Diane's books? Simply e-mail Diane at diane@dianephillips.com and let her know how you would like the bookplate personalized. Include your mailing address, and we'll get it out as soon as possible.